There is a lot of work and research being done to find ways to improve life for partially-sighted and blind people. Reading and recognition devices could make smartphones, tablets, and smart glasses into indispensable aids for the visually impaired. Alex Deans; an eighteen-year-old Ontario, Canada native just graduated high school as valedictorian and is getting ready to attend McGill University in the fall. He began creating the device after becoming curious while helping a blind woman cross the street one day. The device, known as iAid, uses GPS and ultrasonic technology to help visually-impaired people get around safely. The belt-like gadget comes with a joy stick and works by releasing sound waves that bounce-off objects in the user’s path to show how close things are to them. The iAid’s workings have been compared to the combination of a whale’s sonar and the technology used in cars to alert drivers when they’re close to reversing into something. 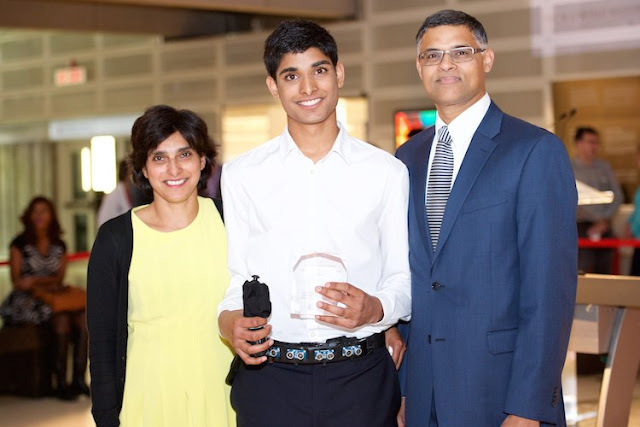 In May, Dean’s iAid won the 2015 Youth Innovation Award. He was given $2,000 in June at the Ontario Science Center ceremony and he demonstrated how the device is used to school groups and local organizations in the community. iAid’s debut is scheduled around the last week of August and Deans is working with the Science Center’s multimedia team for a multimedia exhibit for the gadget’s launch. It will take at least two more months for the patent’s approval in Canada and the United States, so he’s excited because it means the gadget can be mass produced. According to the World Health Organization there are 285 million visually impaired people worldwide. That’s a lot of people who could stand to benefit from some innovative technologies like Alex Deans invention ‘iAid’.